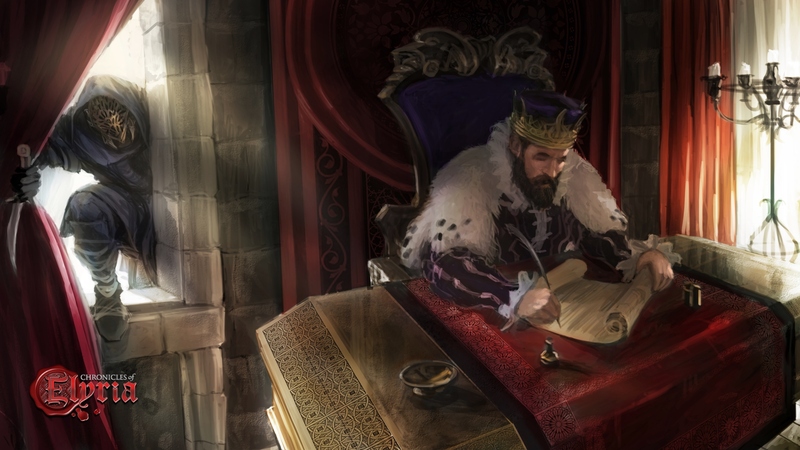 If you want to read the Developer Journal in full it can be found on the Chronicles of Elyria website, or you can read on for the Journal Abridged. Because we will be diving in with the far shorter bullet pointed version. The bolstering mechanic is designed to allow those who want to play together but have differing amounts of free time to be able to be on par with each other when they are partied, so both players have more fun. When partied with members of your in-game family the attributes of weaker family members are enhanced to make them more on par. Stamina is raised first, as this allows groups to travel and fight more easily together, up to a maximum of the highest family members stamina. All other attributes are then raised to be on par with other members, but crucially not the same. It raises your attributes in order of which you have focused on, not what your family members have, so you still have your own build. Just bolstered. It is important to note that the total number of attribute points will never go above the maximum of any of the partied family members. Bolstering does not affect the number of skills you have. Again it only works with in-game family members, no other groups, so if you are playing as a Ward it will be a disadvantage. Numerical examples are availble in the Developer Journal or this Forum Post. While bolstering allows players not to feel too far adrift when they are do not have much play time it is still important to have people in the world. So to encourage people being online, without penalising those who can not they have added Story Points. Story Points are awarded (post-launch) to online players who do anything that would lead to advancing skills or gain achievements. This includes completing tasks, being involved in the economy, or doing noteworthy actions. Story Points are used between lives to improve their lot in the next life (what exactly it allowed you to purchase to do that has not been announced) or to buy sparks of life, see below for more details. More Story Points are given to those with more fame, at the multipliers on the death tolls, discussed in the last Developer Journal, so a King would game 32x the reward of an Unknown. Reasons below! As mentioned above Story Points can be used to buy sparks of life, these are the items needed to start a new character when you eventually pass on for that final time. By allowing them to be bought through Story Points those who have more time with less money can Earn-to-Play. Buy-to-Play is still an option. However, while as a business Soulbound Studios want money they recognise that they need a living active world too so are rewarding those who are actively online more to help achieve that. A King earns story points 32x faster than an Unknown for a simple reason that they can die 32x faster, so have balanced the risk with the higher reward. The hope is that means that these roles are more balanced and those with lower disposable incomes are not put off from trying the riskier roles. It is hoped by being able to buy some lives with Story Points it will be balanced so that the higher risk roles will not cost the players more than the average $30-$60 a year for other players. It is a tough one. MMOs are known as a time sink, however, Soulbound Studios acknowledge the market for this game is a lot of people that do not have that free time anymore. I think this makes an interesting balance between letting those who haven’t got all the time from being left behind but without making no one log-in. Yes, I am sure we will log in for fun, but sometimes if you are sinking a lot of time into a game you want to know you are getting something for it too. Not just to be your baby brothers bolster. I hope they have got the balance right.